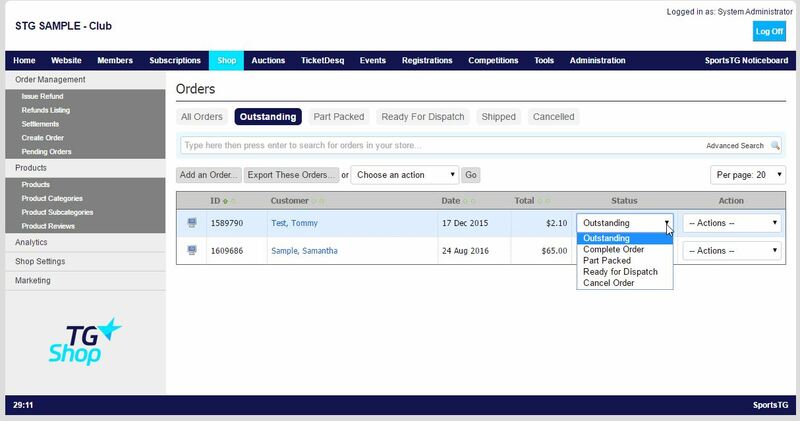 When orders are placed through the Shop page they are automatically placed in the Outstanding status. Each order can then move through a number of statuses going from outstanding to completion. 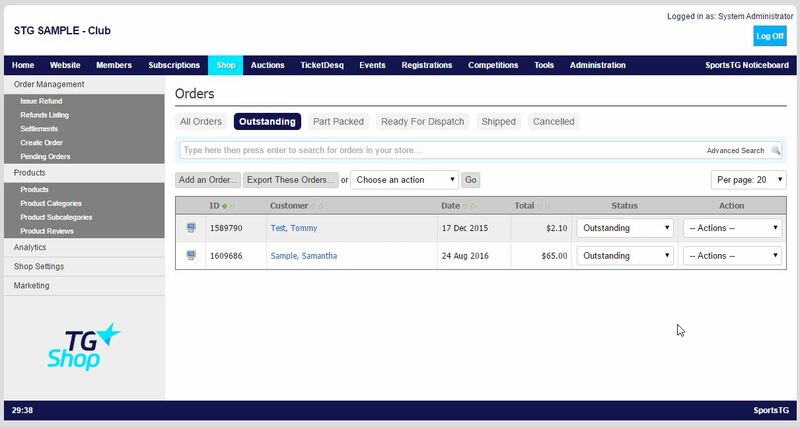 You can change the Status of an order easily through the Management Console. 3. Find the Order that you want to change the status of. 4. Click on the dropdown menu under Status and change this to the required new status. 5. The Status will then show as updated. Note: Changing the Status of an order allows staff to accurately track what stage an order is at. Remember to update each order as something is actioned on it.